Introducing…It’s a Stitch Up Yarn! It is with huge excitement I can announce that I can announce we’re launching It’s a Stitch Up Yarn, our own brand of ethical, British-milled, hand-dyed yarn. I recently wrote about the ethics of wool and the discoveries that led me to take this big leap and positive step towards making beautiful, ethical yarn available to all knitters. British – All It’s a Stitch Up yarn is spun at British mills, and some of it is also farmed here! I would love for all of our yarn to be British farmed, and I’m working towards achieving that in the future, but right now I couldn’t without compromising quality and affordability. Best quality – Hand knitting takes a lot of time an effort but it’s made worthwhile by creating garments to be worn and treasured for years to come. The yarn in our range is soft, durable, beautiful and extraordinary, no exceptions! Affordable – This was the hardest criteria to satisfy but really important to me. Many hand-dyed yarns and emerging British yarns are pitched at the luxury end of the market, priced at upwards of £20 for a 100g skein. This is completely understandable given that British mills cannot compete on price with China, and hand-dying is (by nature) difficult to scale, but it makes knitting with fine quality, ethical yarns an elitist activity. I want to put this within the reach of all knitters. 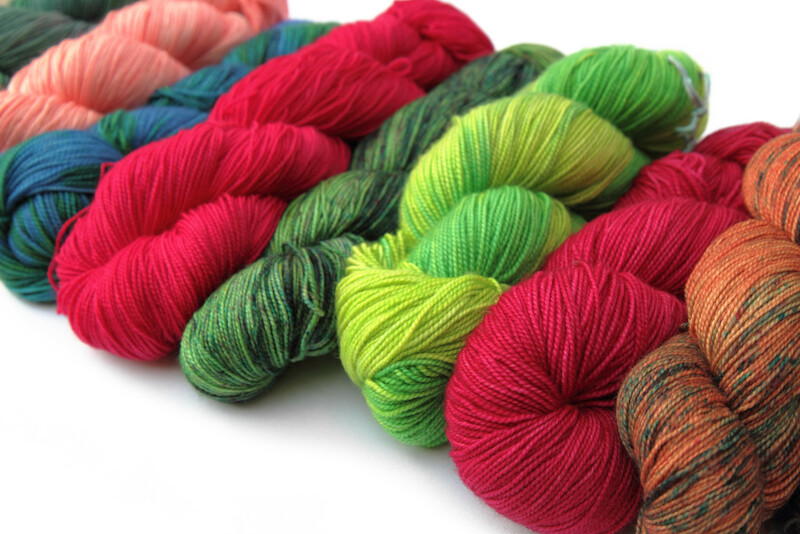 Even those on a tight budget should be able to choose a beautiful skein for a small project. I have priced our yarns with this in mind, to compete with foreign-milled yarns of the same high quality. Responsible – From sheep to skein, the welfare of the animals, people and environment matter to me and have been key considerations in creating our yarn range. These issues can be complex as I discovered, and often unknown to knitters because of the lack of labelling on commercial yarn. I decided not to use Australian or New Zealand merino (both because of the mulesing issue and transportation distance) and I’m delighted to have found brilliant quality alternatives. All our yarns give as much information as possible about their origin so knitters can feel informed about their choices. The non-British wool in our range is from in South America and we feel we’re making a positive contribution to their farming communities. Favourite Sock is everything one could wish for in a sock yarn. Its high-twist, plied construction makes it hard-wearing and gives beautiful stitch definition. It’s incredibly smooshy and soft. It’s great for baby clothes and as a general purpose 4 ply, but it’s my all time favourite sock yarn (in fact I have been dyeing it on a smaller scale for some time). I hope it will become your favourite too! We have quite a few shades available now. Plus, you can subscribe now to our sock club starting in the new year if you like surprises! Awesome Aran is exceptional in every way and has totally changed my personal perception of British wool. Spun from the only finest wool that the Bluefaced Leicester sheep produces, it’s the absolute best of British. It’s soft, easy to care for and warm, making it a great all-rounder and jumper wool. 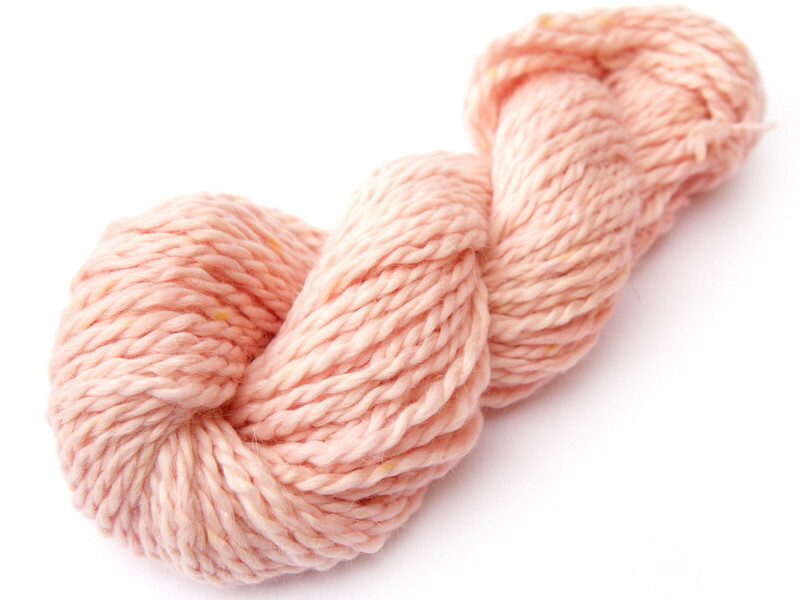 Plus, it has a subtle lustre unique to BFL that adds an amazing depth to hand-dyed colours. We have just three shades available right now. We’re creating more as quickly as we can, including some botanical-dyed shades. We are also selling a three skein yarn pack for our Nordic Ski Sweater Hot Water Bottle Cover pattern with a 10% saving on the skein price. We fell in love with Marshmallow Cloud at first squish. Its luxurious silky feel makes it perfect for special accessories; snugly hats, scarves, mittens and snoods – you’ll want to appreciate its softness against your skin. The ‘baby’ part means it’s from the alpacas’ first sheering; the finest fleece the alpaca will ever produce. We dyed just a few shades in the first batch, most of which has now gone so there are just a few skeins available. 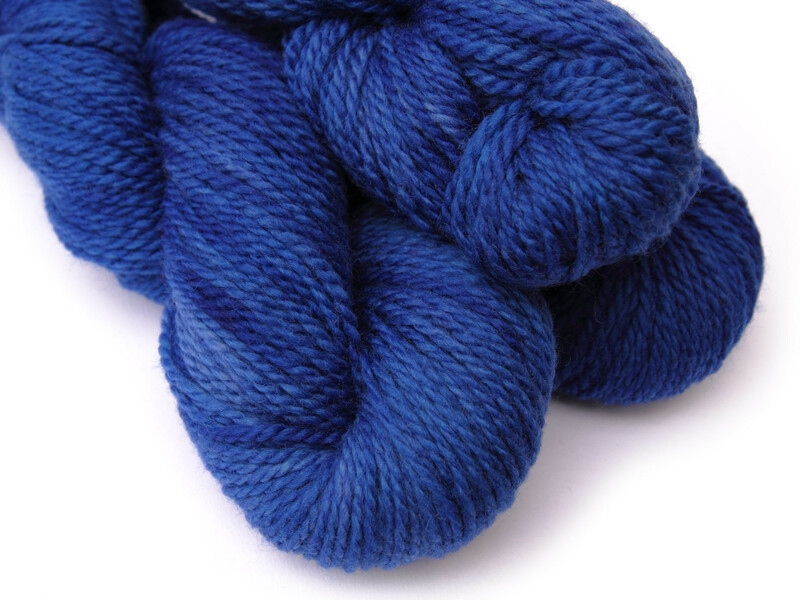 We feel that this yarn deserves its own colour selection, which we’re working on right now. All three yarns are beautiful in their natural state, so we’ve decided to make them available as undyed yarns for a lower price for those who like their yarn as nature intended. Or if you want to try your hand at dyeing, have a look at our dyeing tutorials. Blog New free pattern: Mitt-o-matic…it’s interactive!